The name black bear can be misleading. New Mexico’s black bears actually come in a variety of color phases ranging from black and brown, to cinnamon (the most common color), reddish and blonde. An adult male black bear can weigh up to 400 pounds, though the average male weighs about 250 pounds. 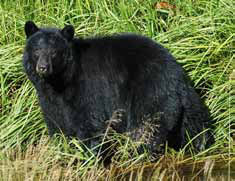 Female black bears typically weigh between 150 and 180 pounds. Their powerful limbs each have five toes and five short, curved claws for digging and cutting. Their front feet are about as long as they are wide, but the hind feet are long and narrow and resemble a human foot. Black bears have strong muscular necks and are very adept climbers. Black bears can scramble up a tree with remarkable ease! Black bears’ potential life span may exceed more than 30 years. In New Mexico, bears have been documented to live 20-25 years. In most of their range where they are hunted the average life span is about 7-8 years. Their most frequent causes of death are hunting by humans, predation by other bears, and their becoming a nuisance by getting used to human food and subsequently having to be killed. 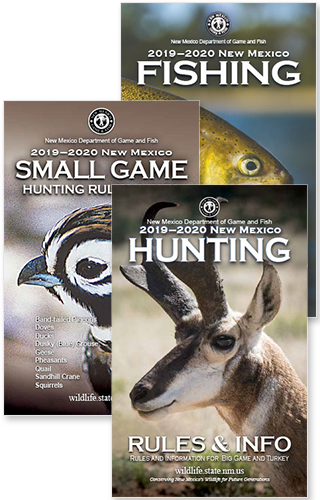 NOTE: We frequently update harvest and depredation reports, and you may need to refresh the page if your internet browser has stored older content. In most Windows browsers (such as Internet Explorer) hold down the Control key and press F5.